The tradition of Irish leadglass making began in 1690 when Captain Philip Roche established The Round Glass House in Ballybough, Dublin. Its heyday came later with the repeal of punitive laws and the lifting of export restrictions in 1780 when glass houses were established in Belfast, Dublin, Cork and Waterford . 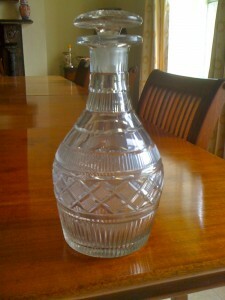 Antique Irish glass is greatly prized by collectors. The most sought after was made in the years from 1780 to 1825 (British legislation granted free trade and later sent all glassmakers to eventual bankruptcy by imposing excise duty). Most objects are not marked with makers names so pieces associated with known factories attract the strongest interest. As with silver, it is the rare examples of provincial workshops that are most sought after. 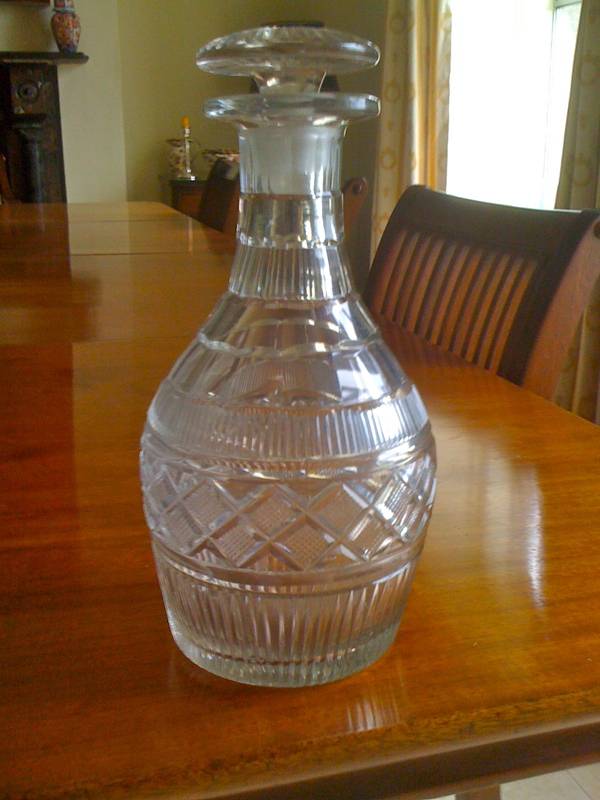 Names to look out for are the Cork Glass Company; Waterloo in Cork; B. Edwards of Belfast and Penrose Waterford. Retailers’ names, such as the Dublin ‘Armstrong Ormond Quay’ or Mary Carter & Co. add significantly to the value.